Overcoming Presbyopia. 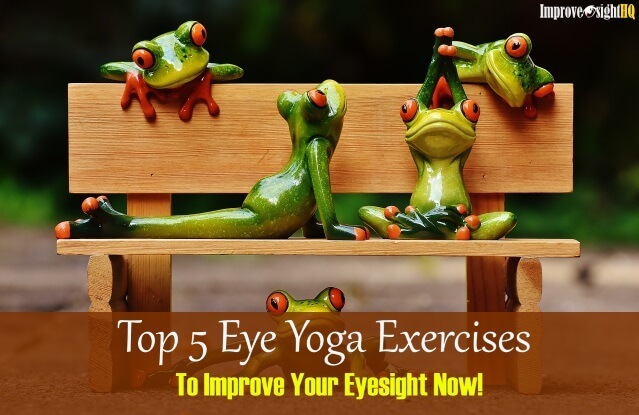 Corrective Lens, LASIK Surgery or Eye Exercises? Overcoming Presbyopia. 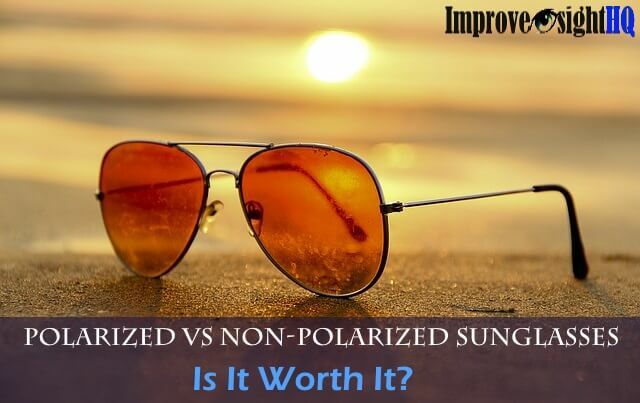 Corrective Lens, Refractive Surgery or Eye Exercises? One common belief that comes inevitably with aging is presbyopia. As we grow older, many of us find that we need reading glasses for close up work. However, there is a also a less known school of thought that says presbyopia is not an inevitable consequence of aging, but instead the result of years of improper nutrition, stress, inadequate exercise, and faulty oxygenation of the body. 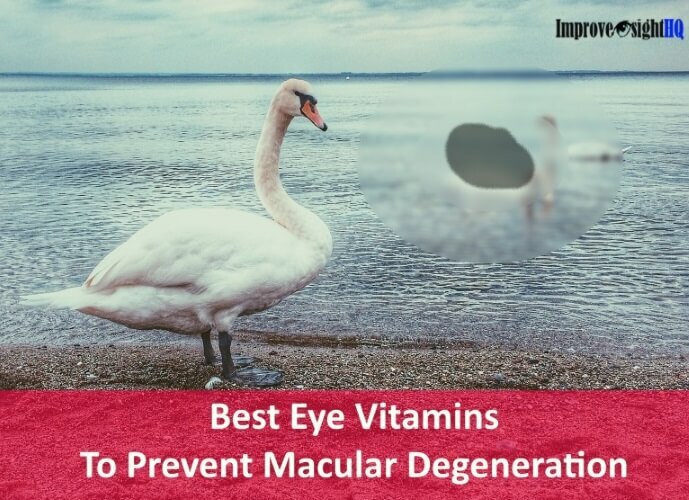 Personally, I believe aging vision can be rectified or at least its deterioration can be prevented by eye exercises and proper eye vitamins. 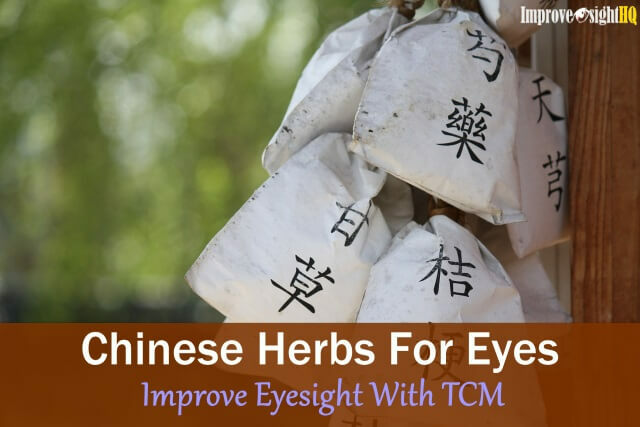 This article shares with you how save your eyesight from this “inevitable” aging condition and delay potentially blinding diseases such as cataracts and retinal detachment. It typically occurs when a person reaches age of 40. In fact, the word’s origins are from the Greek words “presby” which means old and “opia” which means vision. Our eyes are relaxed when they are in focus for distance vision. As we move to closer objects, we need to contact the ciliary muscles and change the shape of the crystalline lens in order to see up close (all these activities are done involuntarily). As we flex the ciliary muscles, the lens becomes thicker, increasing the focal point and allowing the light refracted from object to fall on the retina. As we age, when our lens harden and becomes rigid. Its inflexibility to change shape causes the focal power to remain low, resulting in the light landing behind the retina. Thus creating blur vision of the image. It may also develop due to the weakening of the ciliary muscles surrounding the lens. This inflexibility causes the ciliary muscles to be unable to change the shape of the lens to the amount required to focus on near-point objects. Sometimes a medication can cause a fairly rapid loss of focusing ability if it affects muscle function. If you are taking medications and notice a loss of focusing ability, be sure to check with your doctor. Aging vision differs from astigmatism, nearsightedness and farsightedness, which are related to the shape of the eyeball or the cornea. 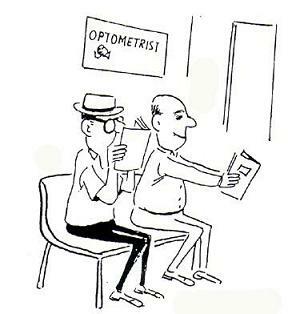 Since nearly everyone (not all) develops presbyopia, if a person also has any of the other refractive errors, the conditions will combine. 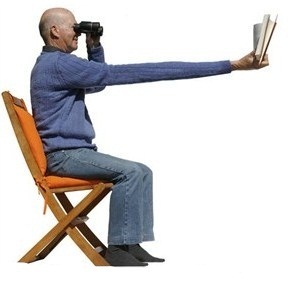 You may become aware of presbyopia when you start holding books and newspapers at arm's length to be able to read them. Having to hold things further away to see them - books, sewing, newspapers. 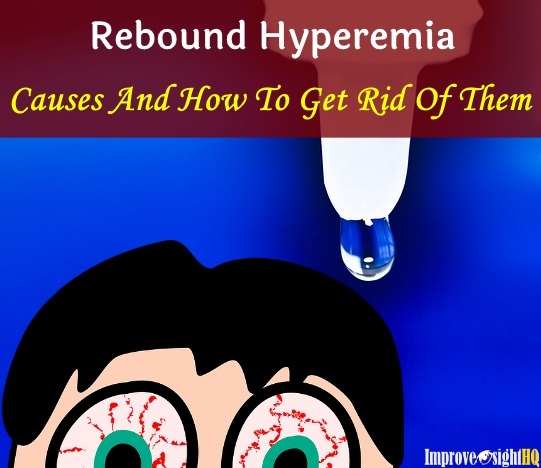 Headaches or tired eyes after reading for long periods. Though some people believe that as you get presbyopia, your nearsightedness will decrease. It is entirely a myth. 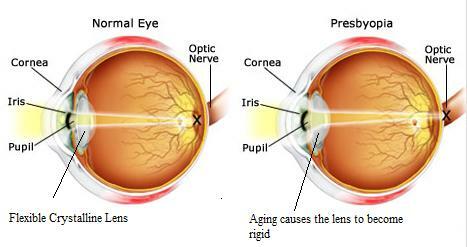 Nearsightedness developed due shortened eyeballs and over-stressed eye muscles but aging vision happened due to thickening of the lens. Fear not. If you have aging vision, these are some ways which you can correct the problem. In each, I am going to share with you the pros and cons of each approach.